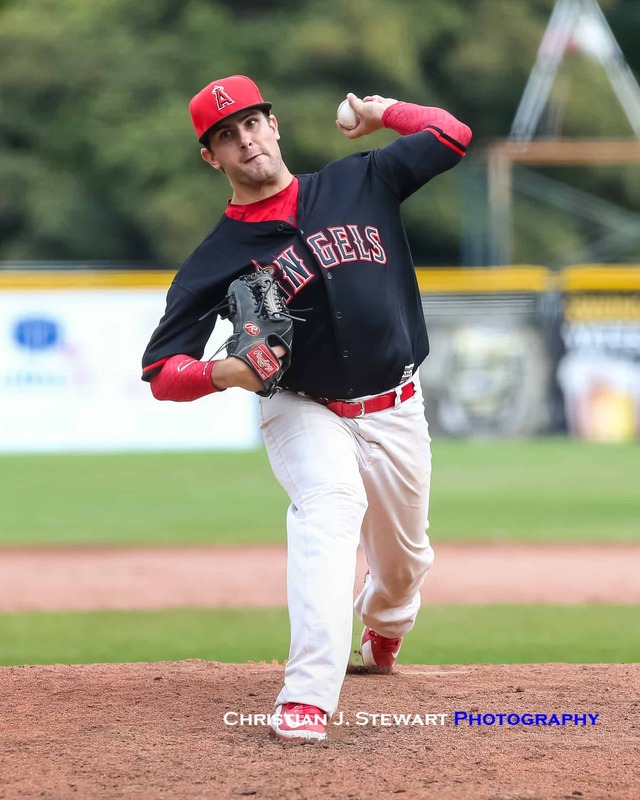 August 26, 2018, Victoria BC – It was a classic pitching duel between two of the top left-handed pitchers in the country, but it was Shawn Schaefer and the Coquitlam Angels (Team BC) who prevailed, defeating Shane Kraemer and the Moncton FisherCats (Team New Brunswick) 2-1 in extra innings in semi-final action at the 2018 Baseball Canada National Men’s Championship Sunday afternoon at Wilson’s Group Stadium at Royal Athletic Park. The Coquitlam win now sets up an all British Columbia final, as the Angels now move on to face the Victoria Mavericks – 4-1 winners over Ontario 1 in Sunday’s first semi-final – in the National Championship Gold Medal game at 7:00 pm, while the FisherCats will take on Ontario 1 (the Tecumseh Thunder) in the Bronze Medal game at 4:00 pm. 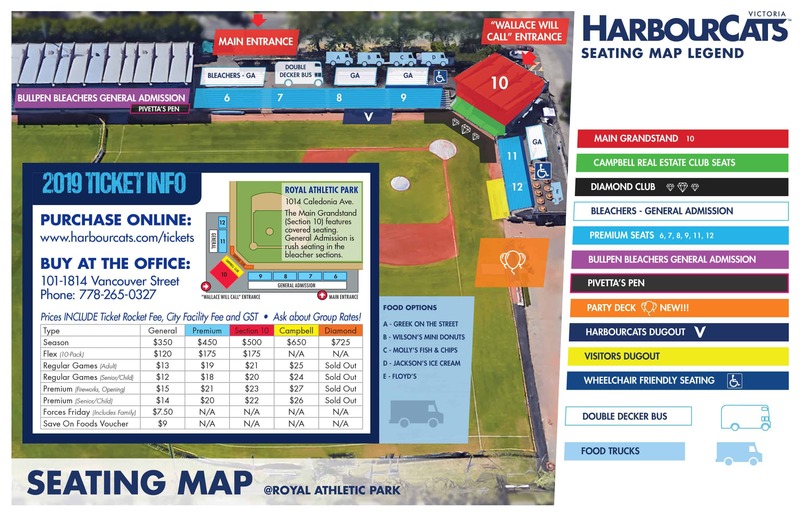 Both of those games are also at Wilson’s Group Stadium at Royal Athletic Park in Victoria. 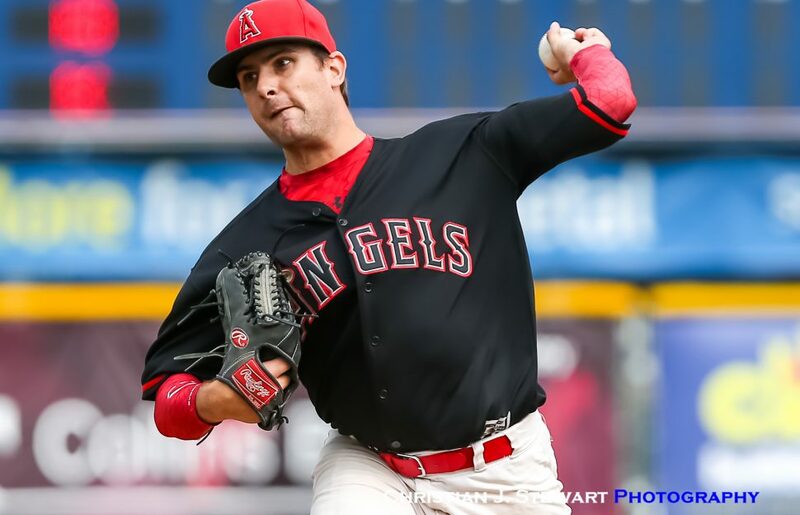 The Angels’ Shawn Schaefer and FisherCats’ Shane Kraemer, arguably two of the best left-handed pitcher’s in the country at the men’s level, were locked in a classic pitching duel through the first three innings of the game, with both pitchers surrendering just a single hit each to the opposition over that time period. That standoff lasted until the bottom of the fifth when the FisherCats Kraemer would crack first, giving up an RBI single to Coquitlam’s Kyle Iwata that would score Taylor Lawrence who had reached earlier on a critical error by New Brunswick second baseman Markus Coates. 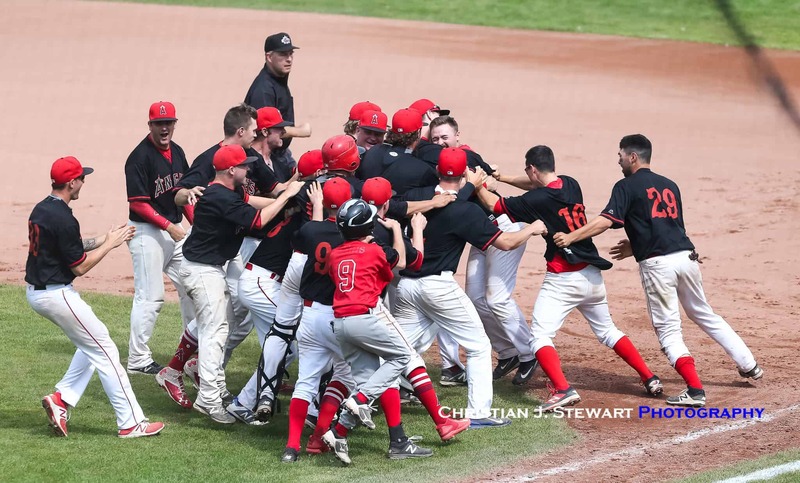 After a scoreless sixth, Coquitlam’s Schaefer took the 1-0 lead into the top of the seventh and after an out, would surrender a single to Coates and then a double to Mark Phillips to put the tying and go-ahead runs for New Brunswick in scoring position. Schaefer would then strike out Josh Dennis, but walk Tyler Walchuck to load the bases and then walk Sam Lund to force in the game-tying run. That would be the end of the day for Schaefer as he was relieved by Dan Britton-Foster, who stepped up big time to strike out New Brunswick slugger Dave Barr to end the inning. Schaefer finished the day allowing the one New Brunswick run on six hits, while walking two and striking out eight. In the bottom of the seventh, Kraemer, still on the mound for the FisherCats, would retire the side in order to send the game into extra innings. In the top of the eight, Britton-Foster would strike out Jeff Watkin to start the frame and then be replaced by Sean Callegari, who got slugger Serge Vautour to ground out to second, but then gave up a single up the middle to Kris Keating. Keating however, was then thrown out while trying to steal second to end the inning. In the bottom of the eighth, New Brunswick’s Kraemer would be greeted with a lead-off single from Jeff Bouchard, who was then bunted into scoring position by Jack Thompson. 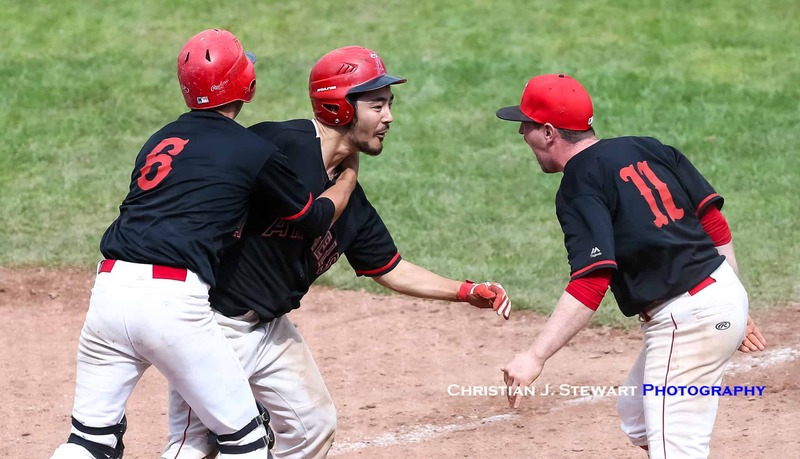 Kraemer would then retire the next two batters to send things to the ninth, where a one out double from Luc Vautour would once again give New Brunswick a go-ahead runner in scoring position. After an out, back to back walks would load the load the bases for Dave Barr, but he would ground into a fielders choice to end the FisherCats threat. 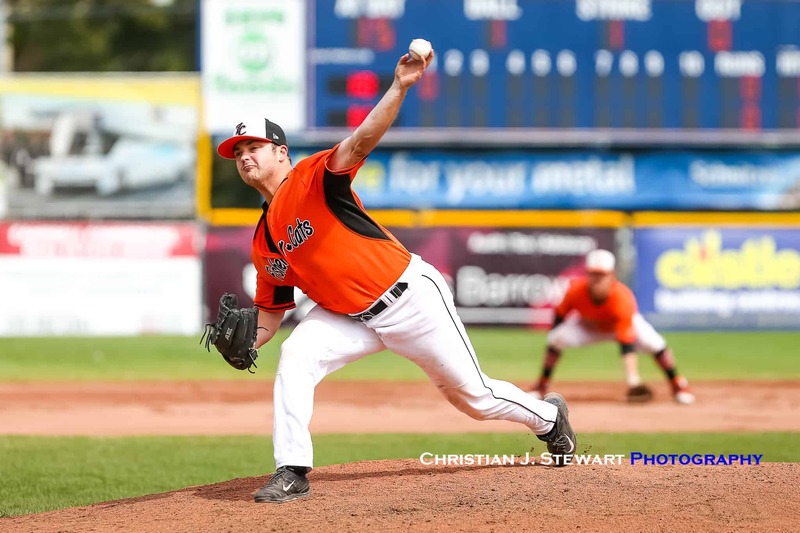 In the bottom of the ninth, New Brunswick sent reliever Jacksen Dekker to the hill, ending the day for Kraemer who finished the day giving up just one Coquitlam run on five hits, while walking one and striking out four. Dekker was greeted with a lead-off single from Alex Graham, who after an out, would steal second to get into scoring position. 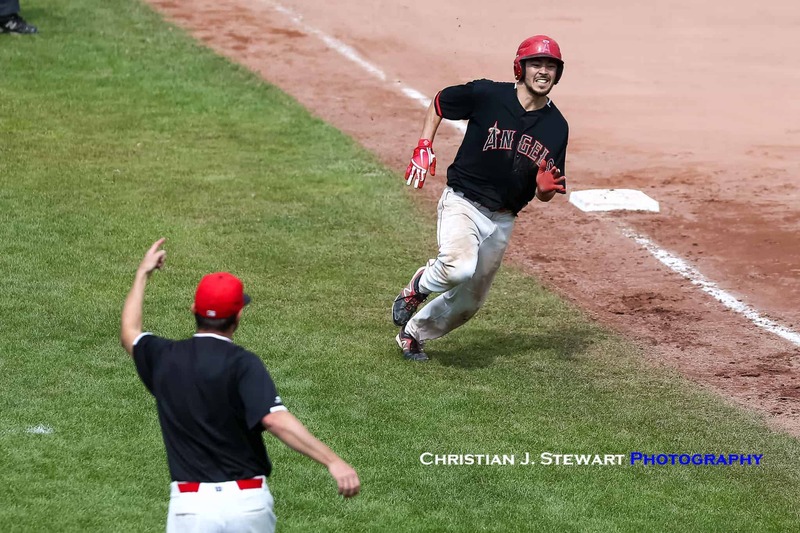 He would then be brought home on a two-out RBI single from Taylor Lawrence, giving the Angels the walk-off victory and sending the players off the bench for the celebration. Tickets for Sunday’s championship game are $10 each and will be available at the Wilson’s Group Stadium box office right through game time. First pitch scheduled for 7:00 PM at Wilson’s Group Stadium at Royal Athletic Park.